Pittsburgh PA: On location photography for the Council of Churches. 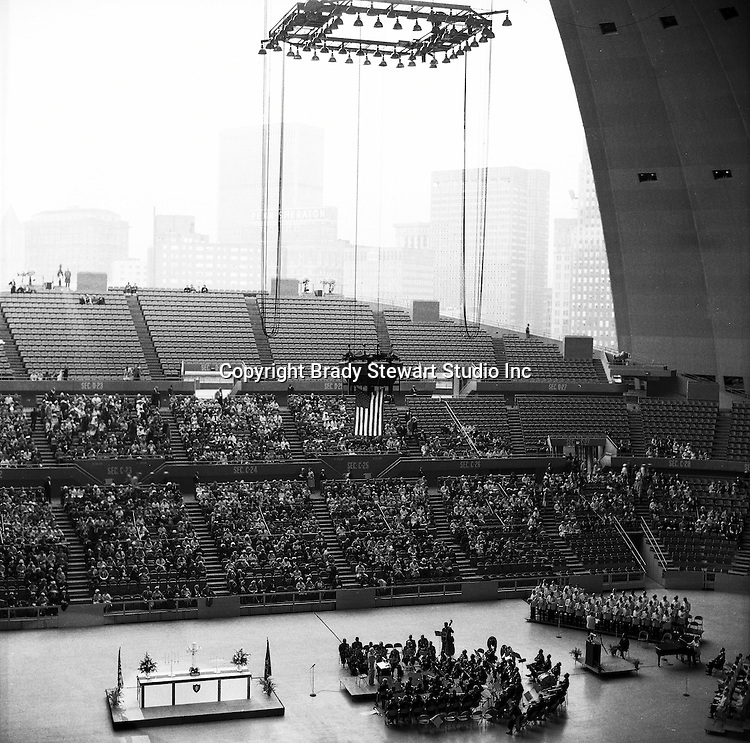 Easter Sunrise Service, the Civic Arena roof in the process of opening - 1963. The Council of Churches was a merger of three local groups; Allegheny County Sabbath School Association, the Pittsburgh Council of Churches and the Council of Weekday Religious Education. The council's objection was to better relate and understand other religions including the local Jewish, African American, Catholic and Christian churches in the downtown Pittsburgh area.